Company Name: Kuken Kogyo Co., Ltd.
Kuken Kogyo is the pioneer manufacturer of cooling towers in Japan. We have been developing products of high quality and performance, enhancing people’s lives by creating a better environment, as well as providing a firm basis for industry. Since we began in 1956, we have been responding to customer demand by making efforts in research and development. We have supplied many of our products to variety of industries. 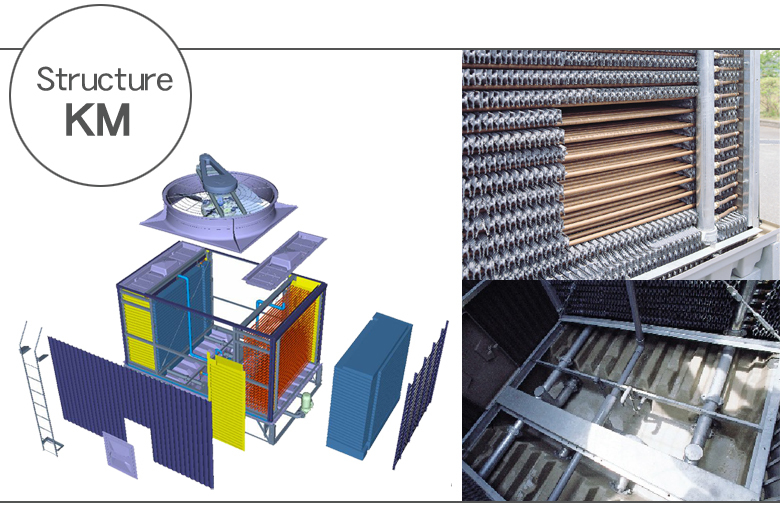 We aim to expand our technology further in the areas of urban air conditioning, and industrial plant. Nowadays, the market requirements are not just for energy-saving, efficiency and low cost, but also include the need for world-wide environmental safeguards. As an environmental amenity industry, our aim is to be progressive, while having regard for social responsibility and environmental awareness. 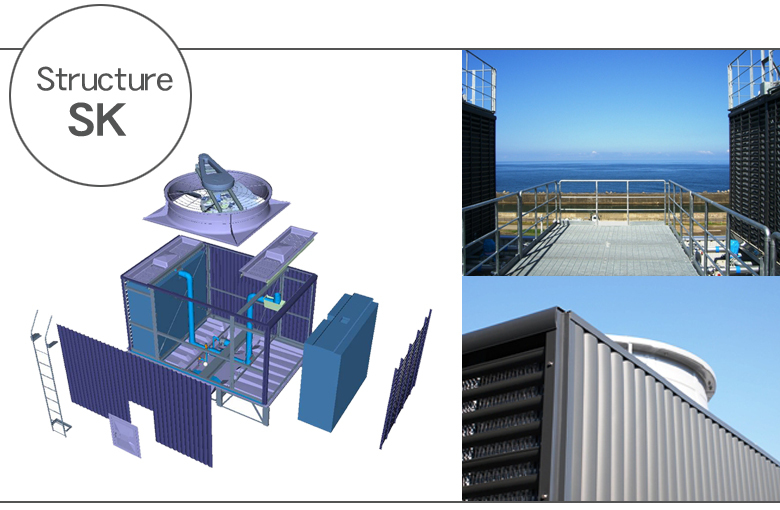 Cooling Tower is a kind of Heat-Exchangers to cool down heat medium such as water by contacting it to the atmosphere directly or indirectly. We have been making progress as a leading company in the air-conditioning field since we granted our first patent for axial flow type Cooling Tower. In addition to the Cooling Tower for air-conditioning application(overwhelming market share domestically), we have been supplying large-scale Cooling Tower for Industrial use to many plant facilities. ISO 9001 certification in 1998. ISO 14001 certification in 2001. We have obtained ISO9001 certificate in 2000. 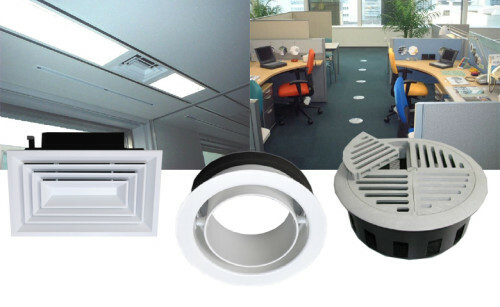 Damper is a disaster prevention equipment, installed in between duct or near Return Grille. Damper is a product in which “Function” is considered as a primary option, not “Design”. In addition to the standard Fire Damper, we have various types of dampers in a variety of application. Lloyd’s (U.K.), ABS (U.S.), and NK (Nippon Kaiji Kyokai) type-approved dampers are also available. We produce and distribute a various kind of dampers : Smoke Damper, Fire Damper, Smoke-Fire Damper, Relief Damper, Gas Pressure Damper and Volume Damper,etc. All dampers are approved by Association of Disaster-prevention Equipment, Japan.